Are you scared about Skygofree? I mean, from the sound of things, this newly discovered malware can give the bad guys free rein on your Android smartphone. Let’s start with the facts. Skygofree is bad. 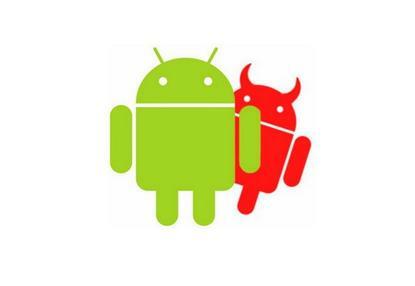 It’s Trojan horse malware that can do many horrible things to your Android smartphone. Like what? Glad you asked. Kaspersky, the antivirus company that found it, has a whole laundry list of the terrible, awful, bad things it can do to you. For example, if you get a case of Skygofree, your attacker has his or her choice of 48 different commands on your smartphone. One way or the other, your own personal spy can peek into pretty much any and all information on your smartphone. Or, for that matter, it can gather information from you that’s not on your smartphone yet. For example, it can turn on your phone’s microphone to eavesdrop on you when you enter a specified location. Divorce lawyers must love that one. And when you unlock your phone, it will also snap your photo. It can also turn your Wi-Fi on if you enter an area with an infected Wi-Fi network. Kaspersky doesn’t explain how a Wi-Fi network can be compromised by Skygofree, but I’ll take its word for it. I presume it would work by making infected smartphones turn on their hotspots. That way you could have entire networks of infected smartphones. Oh, and by the way, don’t think that being in standby mode will help you any. Skygofree will keep working even if you’re using Android 8.x Oreo, which ordinarily automatically stops inactive processes to save battery power. Skygofree sneaks around this by periodically sending system notifications. Those smartphones that turn off all your apps except favorites when the screen’s off? Skygofree gets around that one by adding itself to your favorites list. Skygofree will also read all your Facebook Messenger, Skype, Viber and WhatsApp messages. It manages the last one by being especially sneaky, using Android’s Accessibility Services. These are meant to make it easier for people with disabilities to use smartphones. In this case Skygofree “reads” your WhatsApp messages when they’re displayed on your screen. Last, but not least, Skygofree can do the usual spyware tricks. It will intercept calls, text messages, calendar entries, numbers you call, etc., etc., etc. Say it with me again: This is bad, bad, bad. But — and this is important — there’s no way you can get Skygofree unless you are an idiot. You have to download and install it of your own free — albeit dumb — will. The most popular way Skygofree is spread is via fake mobile-service websites. Usually, it will look like an offer to update your phone to improve your internet speed. Spoiler alert: There are no updates that will speed up your internet. There are ways to improve your internet performance — I’ve written about them — but magically speeding up your internet connection programs? Nope. But setting that aside, let tell you about the single solid-gold, No. 1 way to avoid Skygofree and almost all other Android malware. Never, ever, download Android programs from anywhere except the Google Play Store! Yes, sometimes malware does sneak into the Play Store. But you know what? Google catches the vast majority of those, and it’s constantly working on doing a better job of snagging malware before it can reach you. J. Random Website? Not so much. To quote Computerworld’s own resident Android expert, JR Raphael, Android malware stories are usually sensational hype with next to no real-world impact. So, yes, Skygofree can do bad things to you, but to avoid it — and most Android malware — just get your programs from Google. Simple as that. You’ll be much, much safer.